Josh Younker of Younker Cattle Company farms with his dad, his two uncles and his cousin near Irma, AB. 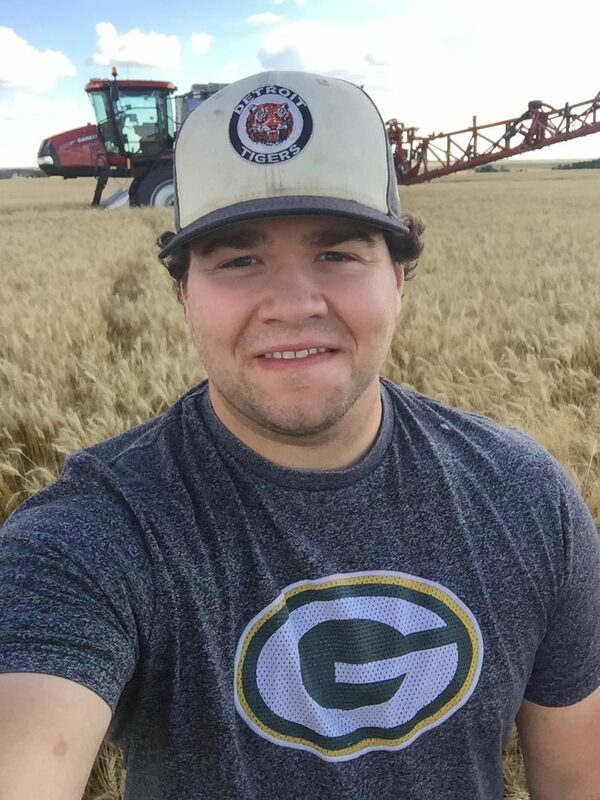 He is a twenty-three-year-old third-generation farmer, is the current vice president of AYFR, and is loving farming! As the name suggests, Younker Cattle Company was started by Josh’s grandfather predominantly as a cattle operation. Originally, they had a sizable cow-calf operation, a feedlot, as well as grain. The four brothers took over fairly early in life and changed the structure a bit. The one brother split off with the cow-calf, and the other three brothers continued with the feedlot and the grain. 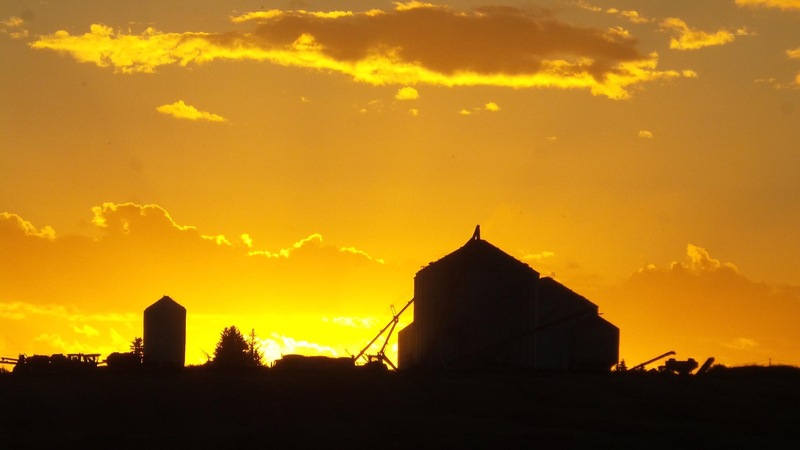 Currently, Younker Cattle Company farms roughly 6000 acres of grain land, does custom silage and has a 2000 head capacity feedlot. They grow peas, wheat, barley, and canola. Josh stated that they did attempt grain corn about four years back with results that didn’t encourage them to try it again! 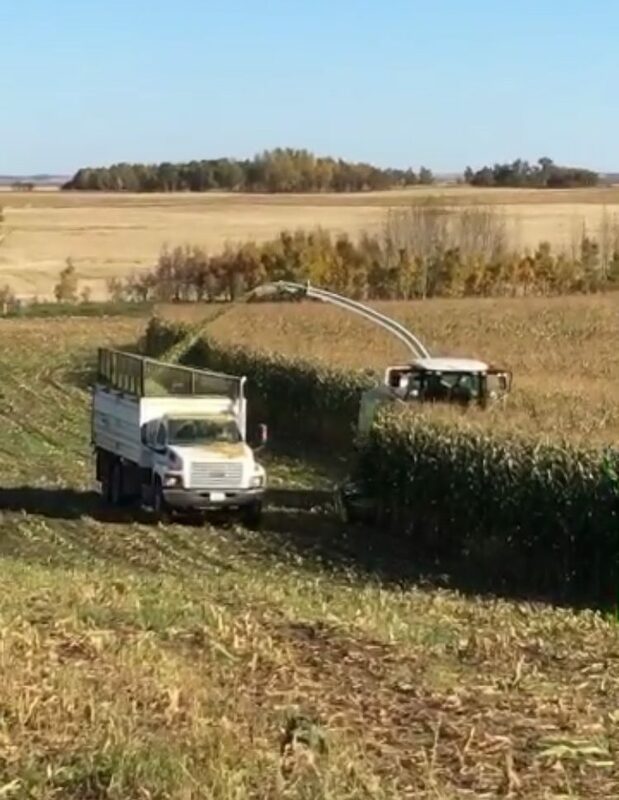 Josh is the sprayer man for the farm, a combine operator and does his part with feeding the cattle in the winter. He says his heart is in grain farming, but the cattle side is a bonus when it makes money. He loves farming as there is always something new to learn. His favourite part, however, is that he gets to work with his dad.